Over the past few years the Partouche Poker Tour has joined the upper hierarchy of major poker tournaments like the WPT Championship, EPT Championship, PokerStars PCA, Aussie Millions, and the WSOP Poker Players Championship. That said, a recent development at the 2012 Partouche Poker Tour Main Event, involving a supposed €5 million guarantee could be a death blow for the tournament’s future if the PPT does not go into serious damage control and make things right with the players. The matter has to do with the €5 million guarantee advertised for the tournament, which the Partouche Poker Tour is now claiming was not a guarantee, despite seemingly incontrovertible evidence from screen-shots players took before certain pages on the PPT website were altered. Bonomo’s last statement is the most important, as this is not the first controversy at the Partouche Poker Tour Main Event, and poker players have historically frowned on any shenanigans pulled at events –and in today’s poker world it’s not as if there is a lack of other tournament options. After some rumors that the PPT may in fact honor the guarantee, the official prize-pool still stands at €4.2 million, and it’s quite likely that a major boycott of the PPT will occur in 2013 if things are not rectified. We’ll keep you updated as this story continues to unfold. 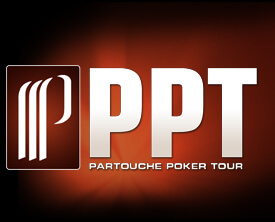 UPDATE: It has now been revealed that the Partouche Poker Tour will close after this event. This will be the last and final year of the Partouche Poker Tour.